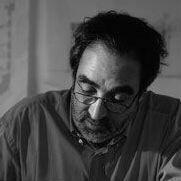 Eduardo Elisio Machado Souto de Moura was born on July 25th 1952 in Oporto, Portugal. He studied architecture at the School of Fine Arts in Oporto, receiving his degree in 1980. From 1974 to 1979 he worked at his architectural practice. From 1981 to 1990, Souto Moura was assistant professor at his alma mater, and was later appointed Professor at the University of Oporto Faculty of Architecture. He has been visiting professor at the architectural schools of Geneva, Paris-Belleville, Harvard, Dublin, ETH Zurich and Lausanne, and has participated in numerous seminars and given many lectures both in Portugal and abroad. His work has appeared in various publications and exhibitions. He has been awarded the following prizes:the Antonio de Almeida Foundation prize; the Antero de Quental Foundation prize, 1st prize in the Competition for the Restoration of Giraldo Square in Evora, Portugal, 1st prize in the Competition for the CIAC Pavilions, 1st prize in the Competition for a Hotel in Salzburg, Austria, 1st prize in the "IN/ARCH 1990 for Sicily" Competition, the Secil Prize for Architecture, 2nd prize in the "Architecture and Stone" ideas competition; honourable mention for his Miramar House in the Secil Architectural Prizes; honourable mention for both the SEC Cultural Centre and the Alcanena House in the National Architectural Prizes. In 2011 we won the Pritzker price, the nobel of Architecture.